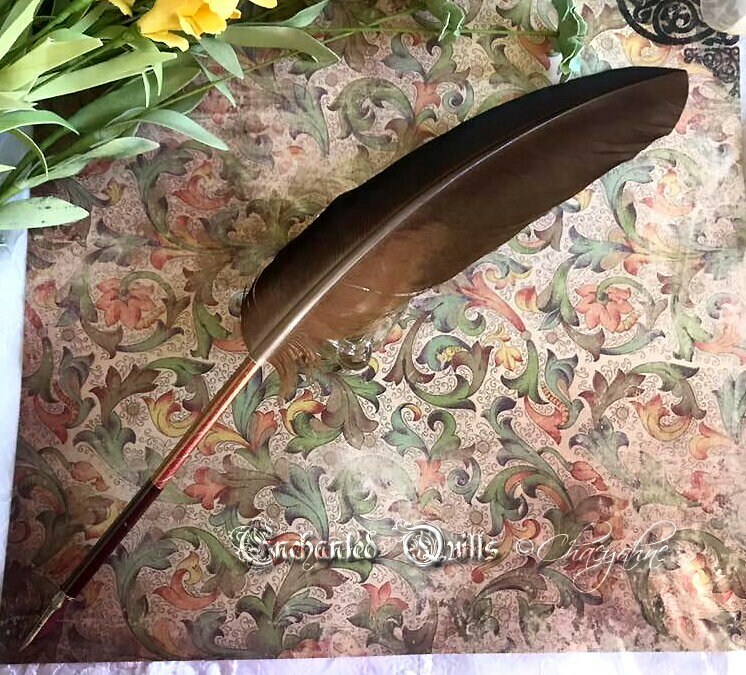 Handcrafted out of a single, very lovely, naturally molted wing feather. It has a copper style shaft wrapping, and this pen comes with a gunmetal black ferrule which WILL allow for the interchange of writing points (nibs). It will fit any type or style of dip pen nib, and it will come with 3 which includes the one pictured. This listing is for the exact quill in the image.